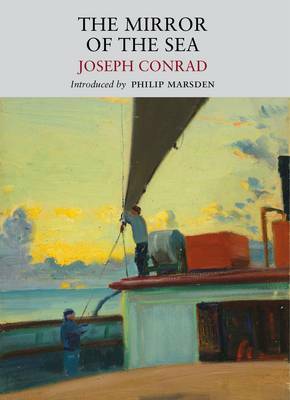 When Joseph Conrad was discharged from the clipper Torrens in London during the summer of 1893, his seafaring career was over. He had travelled the world by then, risen in rank from apprentice to captain, survived shipwreck and turbulent seas. But after nineteen years afloat he longed for the land, and wrote to his cousin of the 'uniform grey of my existence'. Once ashore, however, vivid memories of his past life began to surface. While steam and internal combustion were changing maritime travel forever, Conrad started to reflect on the voyages he had made in the Golden Age of Sail, the people and ships he had known, the extraordinary communities whose lives, language and very nature were shaped by the swells and silences of the open ocean. The Mirror of the Sea is a personal meditation on the sea and its meanings by one of the twentieth century's most important novelists. Our new edition is illustrated with the seascapes and deck scenes of the artist-sailor John Everett, who Conrad wanted to work with on an illustrated edition of The Mirror and the Sea in the 1920s.' The great thing,' Conrad wrote in 1923, 'is to make the book like art-production - atmospheric - not a shop article.' Nothing came of the project with John Everett at the time; Little Toller has resurrected this lost notion of a collaboration between the writer and the artist.